Originally a yellow Victorian, this house, built in 1898, is one of the most noticeable houses on Liberty Street. 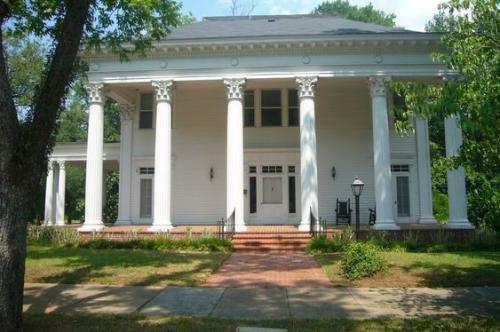 With its beautiful Corinthian columns and neo-classical renovations, this house is a Milledgeville favorite. Fun Fact: Another house was previously located where the Bell-Martin House now sits. It was rolled on logs over to the right of the house. It is now the next door neighbor. Built by a native from Connecticut in 1820, this house has a similar floor plan to those in early New England settlements. 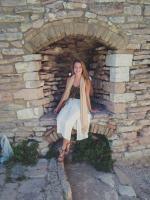 Features of the house include a red brick foundation, beautiful Victorian scroll work, and a covered back porch. Located directly across the street from the Bell-Martin House, this residence is one you can’t miss. Fun fact: A former resident of this house, Dr. Paine was a doctor at the Milledgeville penitentiary. This residence was designed by architect ET Alling, who also designed Milledgeville’s Antebellum Inn. Built in 1898, this home was made for Alling’s own family. He included a beautiful parlor on the left side of the entry that was used as a wedding place for the First Baptist Church. Fun Fact: The architect who designed this house designed several others across Georgia. 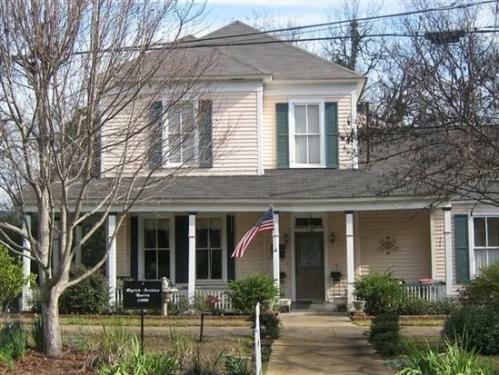 Built in 1822, this house is architecturally one of the most beautiful in Milledgeville. It has a trellised balcony and fan-lighted doorways designed by Daniel Pratt, one of the wealthiest men in Alabama at the time. Its columns are made from matching pine trees, and are very unique for this area. This historic beauty is so special, that photographs of it are included in the Historic American Buildings Survey. Former resident fact: During Sherman’s March to the Sea, Mrs. Orme hid her son, a confederate soldier, in the attic of this house to protect him from Union soldiers. 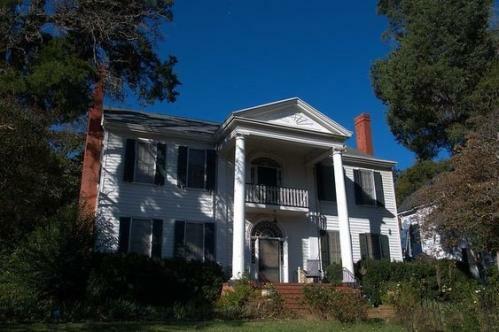 Built in 1818 for Peter J. Williams, who established the First Presbyterian Church in Milledgeville, this house was the largest private residence in Milledgeville at the time. 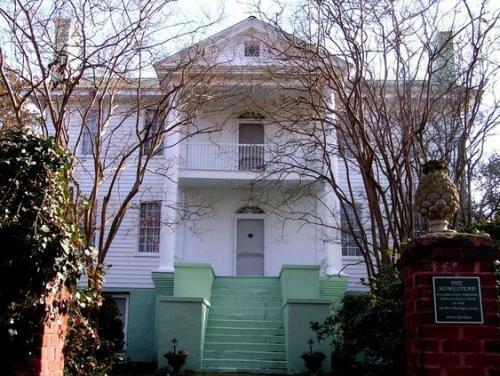 You can recognize this beautiful Antebellum home by its unique mint-green staircase. Fun Fact: The trees around this house date back to 1820. This house on the corner of Liberty and Washington Streets is a beautiful Victorian style home with a unique asymmetrical design. 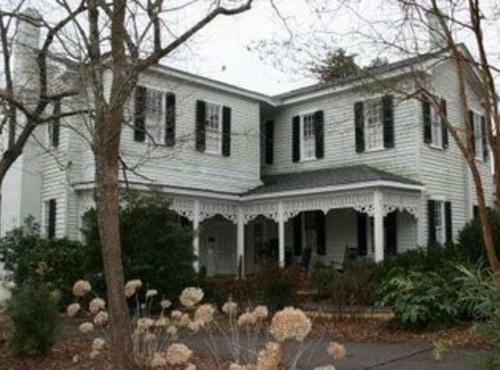 It was built in 1890, and inside there are fireplaces in the living room and dining room. 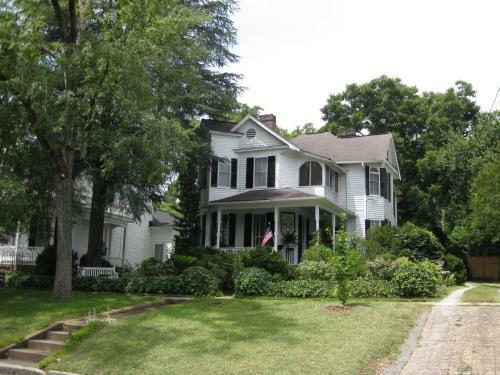 Fun Fact: A former resident of this house, Susan Myrick, was a friend of Margaret Mitchell, writer of Gone with the Wind, and helped coach Vivien Leigh on proper southern manners on the set of the movie. Each of these homes is a private residence and should not be entered.